After I tried out the Trollbeads Anemone Pendant on the Trollbeads Leather Necklace at the suggestion of a friend, I wanted to make a bracelet to go with it. 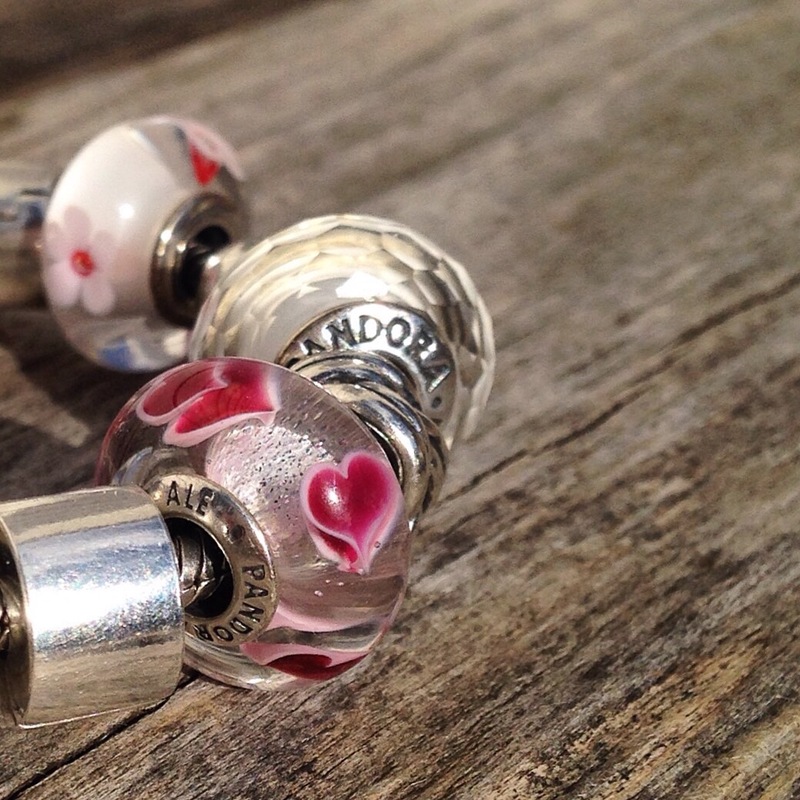 Of course, the Pandora Wild Hearts Murano is a perfect fit. 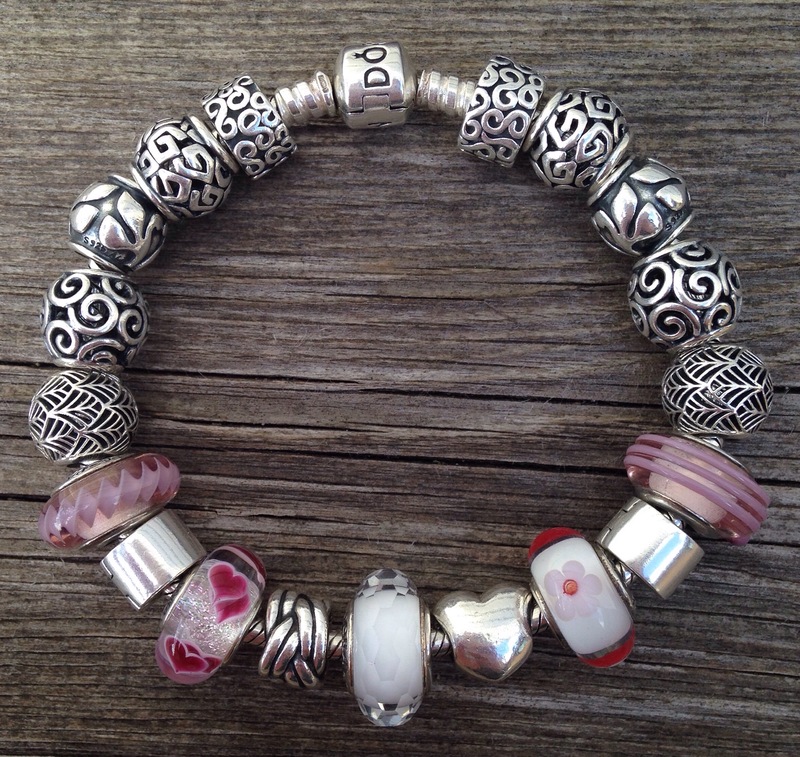 Here’s the whole Pandora bracelet. Because I like to wear bracelets in threes, I added in the Trollbeads bangle unadorned, with the Ohm Beads Twisted Bangle and the Limited Edition Crocus bead, which is still available here. There are two Pandora outlets in Ontario, one at Cookstown Tanger Mall and one at St. Catherine Premium Mall. I just got retired two toned Love Banquet $40, Bow Purse $50 and 2 clips $80 last week. I have big collection of Pandora Moment line, small collection of Thomas Sabo Karma line, one Trollbead bracelet, one Link of London. Oh, I’ve never been to those Pandora outlets. They sound fabulous! 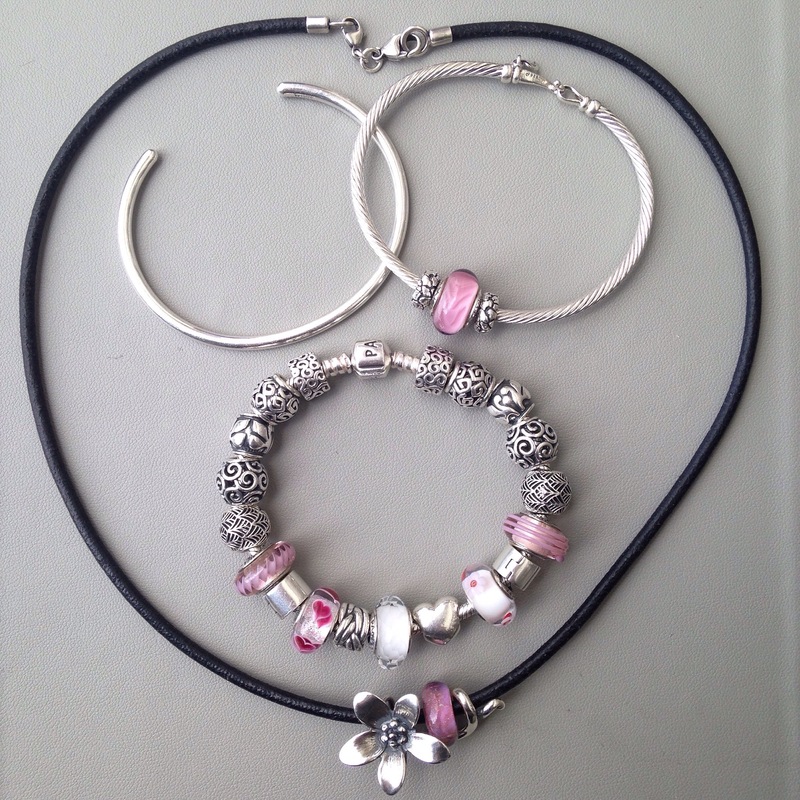 When regular Pandora store has promotion, outlet store pick 3 retired charms bundle for special price. Boxing week, they have retired 2014 LE Paved Star bangle with retired Czech X’mas Tree inside a beautiful gift box $110, two toned X’mas Tree, Present Box and X’mas Elves bundle $85. Free 2014 Sleide ornament with $125 spending. I got it all so haven’t spend for 5 weeks then they call me about retired Love Banquet, then I got Bow Purse & clips. We don’t need to buy from Rue La La pay U.S. $, outlet store has the same discount retired items and regular item except Rose Gold and Disney. Wow, I think it’s good I don’t live near there! Beautifully done, Martha! 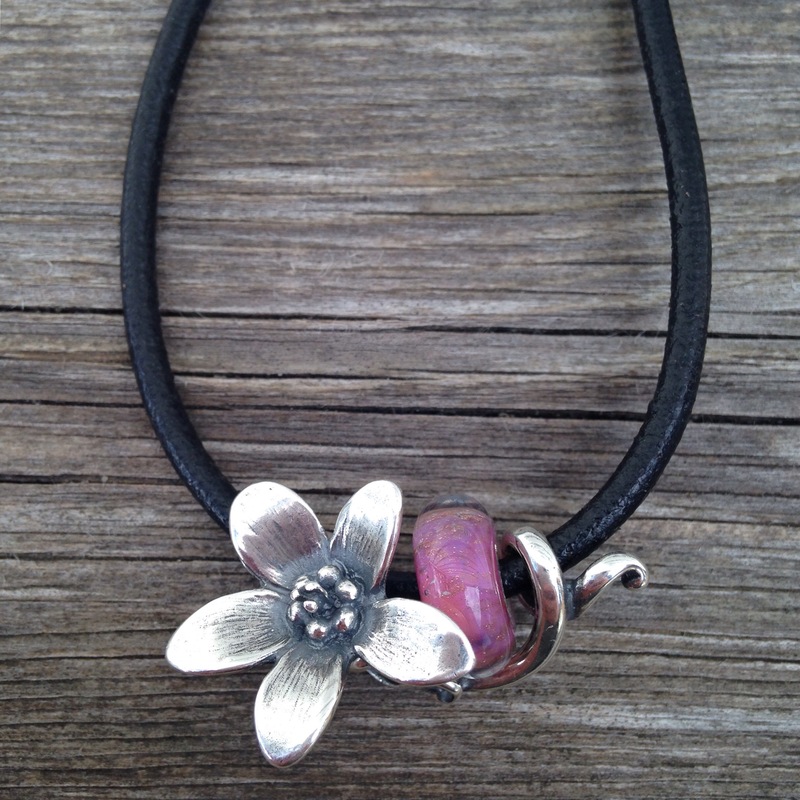 What is the glass bead you have with the anemone pendant? The combination is elegant! Thanks Elise! 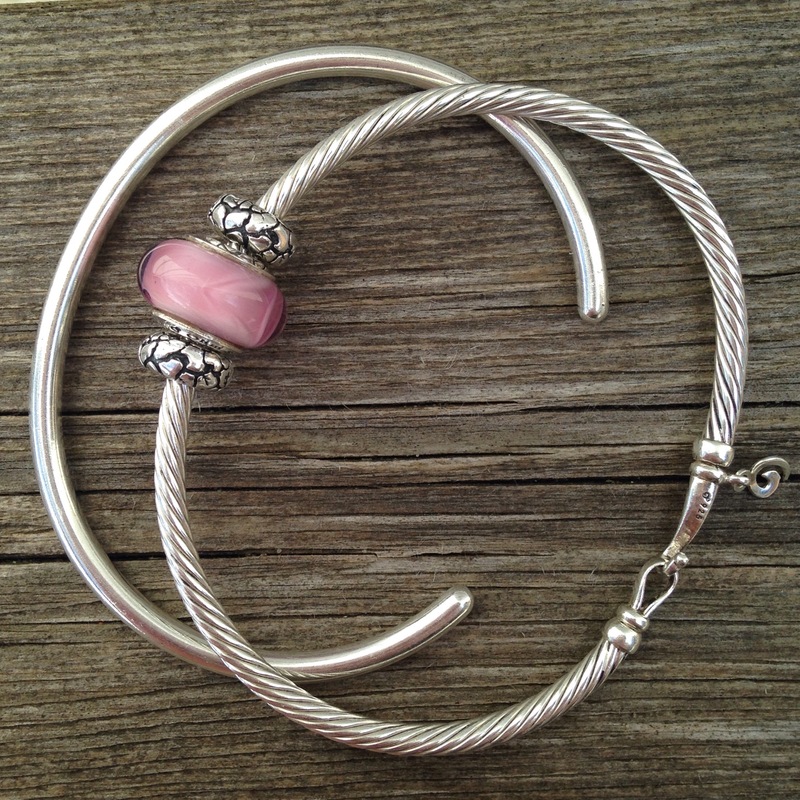 The pink bead with the anemone pendant is a Trollbeads Pink Desert, but it is quite a vivid pink. I believe that usually Pink Deserts are more of a dusky pink.